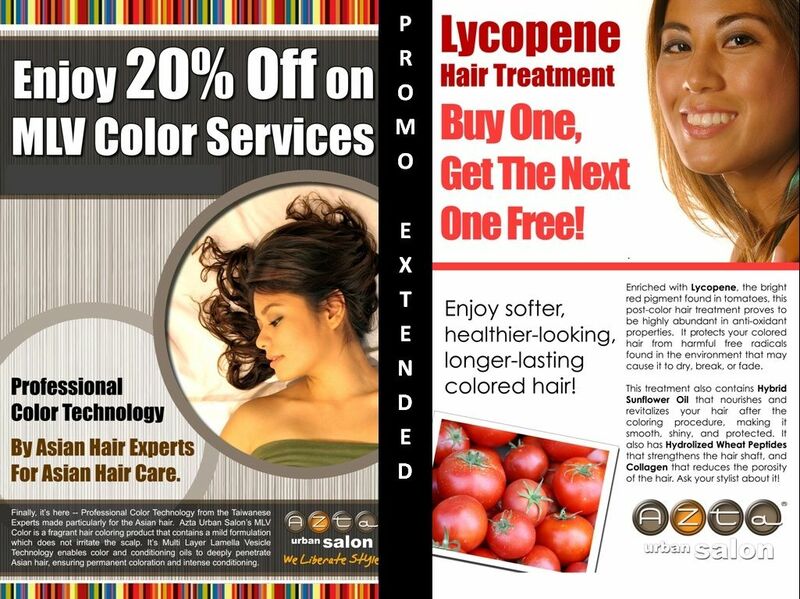 Salon Treatments and Pampering | Badudets Everything Nice! BlueWater Day Spa is one of the first spas I went to a few years ago. They have a branch near my office that’s why it’s my go-to-place for some pampering. 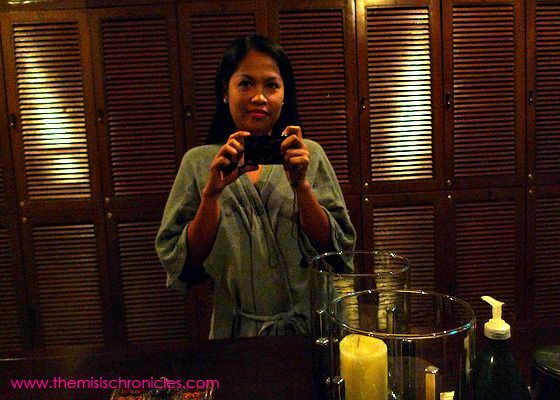 Oh, and it’s also one of the first blogging related events I went to, when they opened their Blue Water Day Spa Capitol Hills branch back in 2009 (gaaawd! I was blogging since 2009??). Indeed, BlueWater Day Spa has been the day spa of choice for many as it offers a truly holistic approach to beauty and wellness. Aside from its enticing selection of pampering as well as slimming and beauty treatments, BlueWater Day Spa has been able to maintain its lead by continuously coming up with new services to keep its customers happy. One of which is the Traditional 4-Hand Balinese Massage. I make it a point to have a facial monthly, it’s my little indulgence. I’m not pimply, I’m just afraid of wrinkles, haha. I just want my face to be massaged for better circulation, and to slough off dead skin cells. I always have their Age Defying Advance Facial or the Whitening Advance Facial. Their Advance Facials cost Php 980, but their regular facials starts at Php 450, I think. The reason why I always opt for the Advance Facial is because of the mask applied, sort of a clay mask that is left on your face until it hardens. It’s very soothing to the skin. 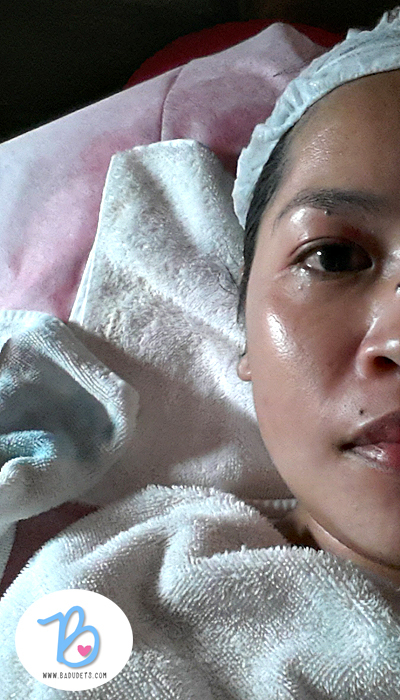 I went to Flawless SM North Edsa branch for that much needed R&R, my skin looks tired already. I told the staff of my chosen type of facial which is Whitening Advance Facial. The staff eagerly suggested that I should try the Cell Booster Infusion Mask, it’s originally priced at Php 1,400 but they have a promo this September, Cell Booster Infusion Mask will be Php 980. I was concerned about the mask that will be used of course, but the staff assured me that the Cell Booster mask is better. So I agreed. 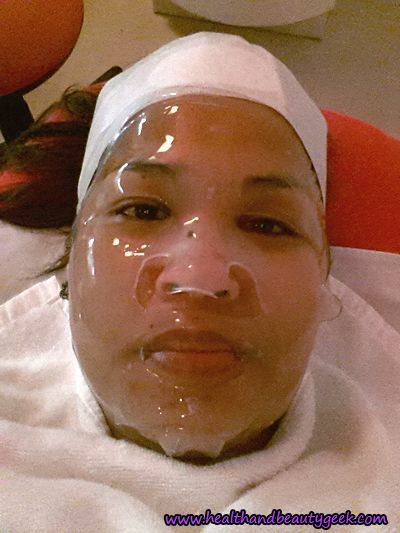 After all the facial steps (cleansing, massage, steaming aaaan pricking), here comes the mask part. My favorite body scrub, Asian Secrets, opened its first spa at SM North Edsa, The Block, just beside Pink Parlour. Now, spa fanatics can experience a more luxurious way to whitening at the newly opened Asian Secrets Whitening Spa. I chanced upon a Pink Parlour deal at Deal Grocer some months ago that includes Brazilian waxing and lip waxing. 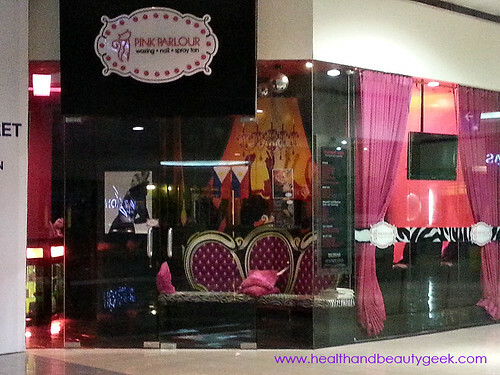 Pink Parlour is a popular waxing salon in Singapore and now they have opened up branches here in the Philippines. I went to their SM North Edsa The Block branch. Every girl will be captured by Pink Parlour’s colors, black and pink matched with zebra-patterned accent. It’s amazing how a change of hairstyle or hair color can make you feel fresh and young again. This is how I feel since last week, after my hair color and lycopene hair treatment from Azta Urban Salon, SM San Lazaro branch. First, let me tell you about my hair profile. I have long black (dull?) hair, rebonded August 2011 and had cellophane treatment. And it’s such a shame that my last haircut was last year too, =(. I was really busy that’s why I resorted to tying my hair into a ponytail everyday. I’ve been contemplating on cutting my hair short for a change since last month. The heavens must have heard my plea, and an invite to try the services at Azta Urban Salon came. After my relaxing The Spa Reflexology treatment, I’m up for a luxurious facial treat with Purity Facial with Organics. I was asked to change into robes, I can also take a shower first because the facial will also cover the lower parts of my neck. I got invited to try The Spa’s newest treatment, The Spa Reflexology. Being a spa and massage addict, I immediately booked an appointment at their Trinoma branch since my body is yearning for some pampering and relaxation. 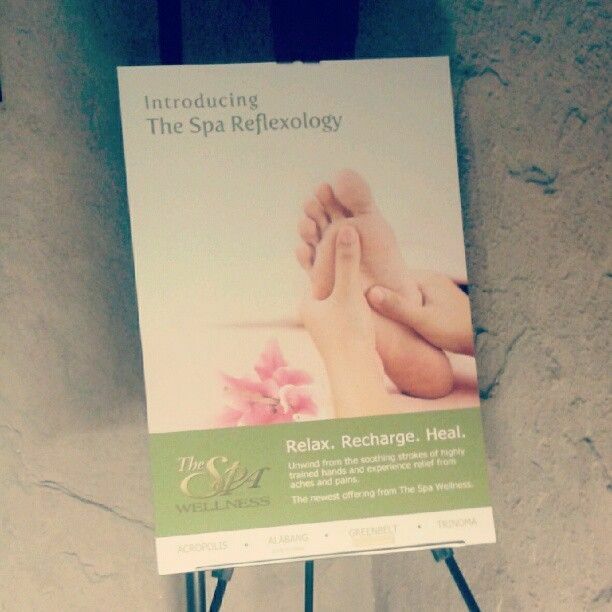 The Spa Reflexology is the latest offering from The Spa and it’s only for Php 550! You might think that this is already expensive for just a foot massage but read on to find out that this is in fact a whole body massage after all. I rarely jump from one facial center to another, I’m afraid that I’ll get allergic reactions from other medicines of different clinics. Besides, if I’m happy with the results, then why look for something else. This is why I always get my facials at Forever Flawless in SM North Edsa, I ‘m addicted with their masks included in the facial. But I’m always curious about diamond peel, however, diamond peels at Forever Flawless starts at around Php 3k. When I saw deal on diamond peel at Cathy Valencia from Beeconomic for only Php 1,155, I immediately bought one voucher. Cathy Valencia treatments are expensive and since some of their clients are celebrities like Cristine Reyes, they must be good! Two years ago, I bought Strip It cold wax in Multiply and DIY-ed my Brazilian. If you read my post, I’m not comfortable having another person do the procedure. But since last year, I just go to Lay Bare SM The Block branch to get a Brazilian. I realized that it’s a pain in the neck to do this all by myself, and then I always end up with a messy one because I can’t see everything, lol! Here’s one thing I’m sure of, once you go bald, you’ll never ever coming back to being hairy again *winks*. It feels so fresh and clean down there. For those who are curious and been wanting to try Brazilian waxing, here are a few tips and what to expect. I’m not sure if the procedure is the same with other waxing salons like The Strip, etc… I’ve only been to Lay Bare SM The Block branch.